Walking Fern Side Trail, originally uploaded by Gregory Pleau. Went for a trail run in Terra Cotta yesterday. Almost didn’t. Before I got here, we had some pretty heavy rains but fortunately it all cleared up so I could have my run. What was left over though, was a wet, foggy spring evening and that makes a forest look fantastic. 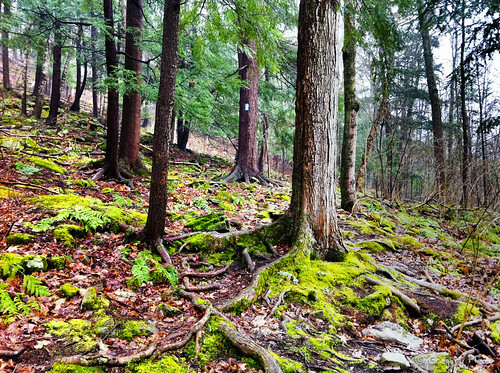 The image here is of the Bruce Trail “Walking Fern” Side Trail near my run start. The photo was taken with my iPhone 4 and ProHDR software. This is one of those classic the best camera is the one you have on you moments. While my iPhone was mainly being used for RunKeeper to track my run it’s also a handy camera that fits in my pocket.